Welcome to El Sueño Existe! Croeso! We are a group of people based around the town of Machynlleth situated in the Dyfi Valley of Mid Wales. The roots of our inspiration come from the life music and example of Victor Jara. This visionary musician and theatre director was part of the New Song movement in Salvador Allende’s Chile. 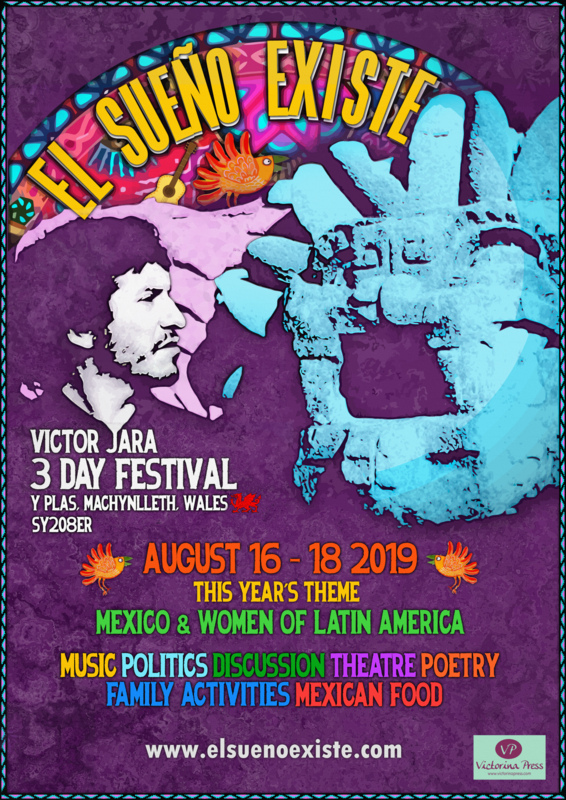 Following the success of the 3-day El Sueño Existe politics and arts festivals dedicated to Victor Jara which have been taking place in Machynlleth every two years since 2005, we are continuing to develop opportunities and ideas for cultural expression, social justice and human rights. The last festival took place in Machynlleth, 28, 29 and 30 July 2017. The next El Sueno Existe festival will focus on MEXICO and WOMEN OF LATIN AMERICA. The dates will be 16th, 17th, 18th August 2019. We are working on the programme. Top Anglo-Chilean band, Quimantu are confirmed for the Saturday and the festival will once again offer a heady mix of radical music, poetry, dance and discussion. There will be a strong focus on the recent election of Andres Manuel Lopez Obrador [Amlo for short] ; a socialist whose leadership may at last offer hope and social justice for the country. 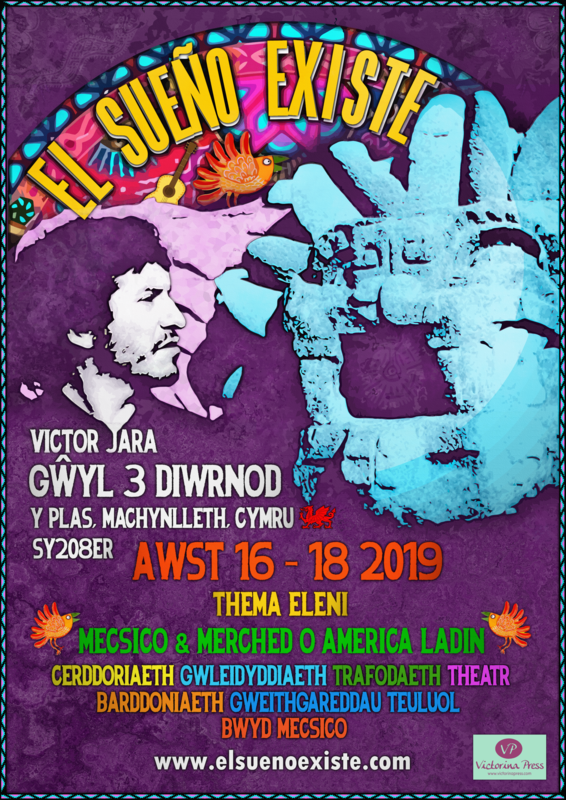 Listen to an interview from The World Tonight on BBC Radio 4 with Tony Corden (founder of the El Sueño Existe festival) about Victor Jara’s murderers being at last brought to justice, recorded in summer of 2018. We gratefully acknowledge generous funding from Victorina Press and our anonymous donors. Diolch yn fawr iawn. Muchas gracias.